As a deep, lustrous material, black onyx is used for a wide variety of decorative pieces. Onyx can be used for jewelry, sculpture, furniture and even the relatively everyday kitchen and bathroom countertop. 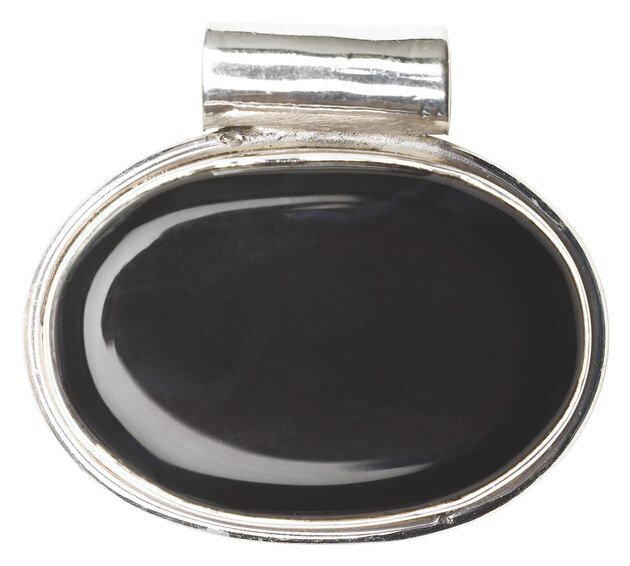 No matter its use, though, black onyx can be prone to damage like chips and scratches. If black onyx is used for countertops, personal and kitchen utensils, and the close proximity of water, can all take their toll. Although chips are permanent, water marks and scratches on black onyx can be repaired with a little work. Buff out scratches in black onyx much like you would buff out scratches in a car's paint job. Purchase rubbing compound or countertop polish, buffing pad and paste wax at a home improvement or auto supply shop. You can use rubbing compound and paste wax meant for cars on your counterop, or you can use countertop-specific materials . Wet the scratched area of the black onyx to prepare for buffing. Pour a small amount of polish or rubbing compound directly onto the damaged spot. Rub the buffing pad over the polish in a circular motion, pressing hard enough to spread the polish/rubbing compound around. Rub the area for 30 to 45 seconds, then wipe away the polish with a clean towel. Repeat as necessary until the scratches are buffed out. Rinse the area with water, and wipe it dry. Apply the wax to reseal the black onyx and protect it from water and future damage. Allow 12 hours for the wax to set before you begin using your countertop again.